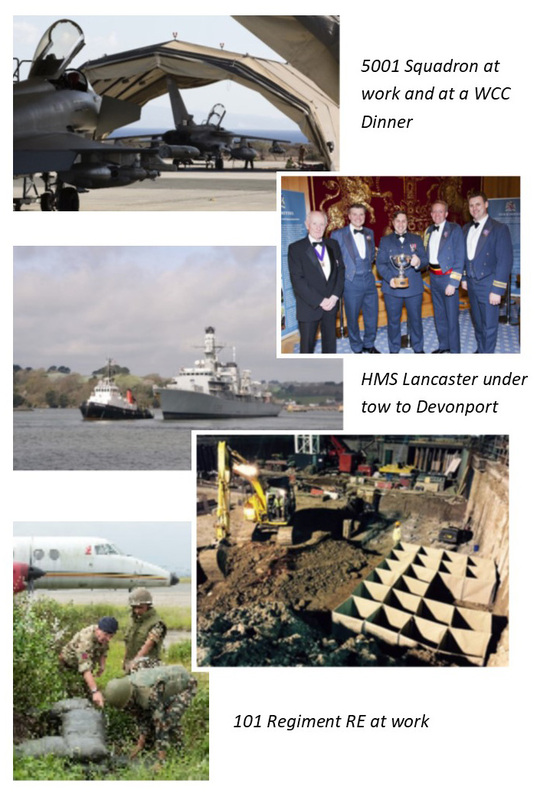 We are very proud of our affiliation with Military Units, The Royal Navy (HMS Lancaster); the Royal Air Force (5001 Squadron) and the Army (101 Regiment RE). 5001 Squadron is based at RAF Wittering and is the RAF resource for mobile airfield facilities. The squadron has recently served with distinction in Cyprus, Iraq and Afghanistan and is always ready to be mobilised anywhere in the world. HMS Lancaster is currently at Devonport undergoing a major refit. She is pictured being towed to Devonport. It is hoped that she will re-enter service later in 2018 following the refit and extensive sea trials. 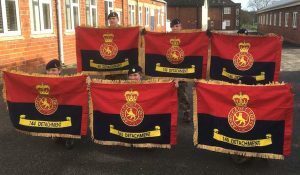 101 Regiment RE is an Explosive Ordnance Disposal (EOD) unit which is often called into service in London and the South East, disposing of old World War II munitions. We also support the cadets of 14 Company South West London Army Cadet Force. 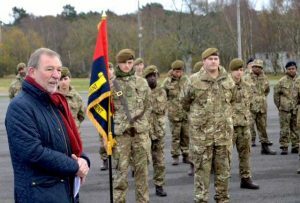 The cadet force is the way in which young people are given a taste of military life, discipline and commitment. 14 Company have saved up our contributions over the years to allow them to procure new standards and these were presented by the then Master at one of their winter camps.